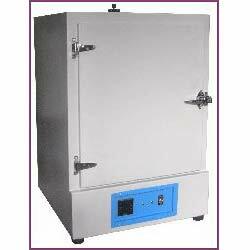 Laboratory Incubator systems offered are utilized in handling day-to-day bacteriological as well as culture tests which are performed in different applications. Here, we specialize in providing both standard and customized models that are developed to meet challenging demands of scientists engaged in individual and specialized research work including those working in Defence Installations, Research Laboratories, Educational Institutes and R & D Laboratories of leading national as well as multinational companies. Providing functionality as double walled convection heated units, its outer comes pre- treated with primers, rust proofing, painted with stove enamel and in powder coated finish options. Further, the inner chamber is made of heavy gauge stainless steel sheet of SS-304 grade with gap between walls filled high grade mineral glass wool so as to ensure maximum thermal efficiency in these bacteriological incubators. Providing functioning as indirect heating systems, the unit comprises of air heaters of suitable wattage that allows warm air to be evenly distributed throughout chamber through process of natural convention.